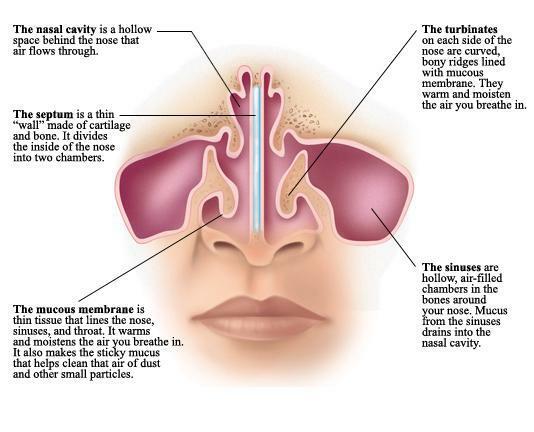 Your skin is the largest organ on your body with the critical job of protecting you from infections and germs. Water, proteins, lipids, and different chemicals and minerals make up the skin. Optimal skin care is important for maintaining this healthy barrier, much of which can also help delay the signs of aging. 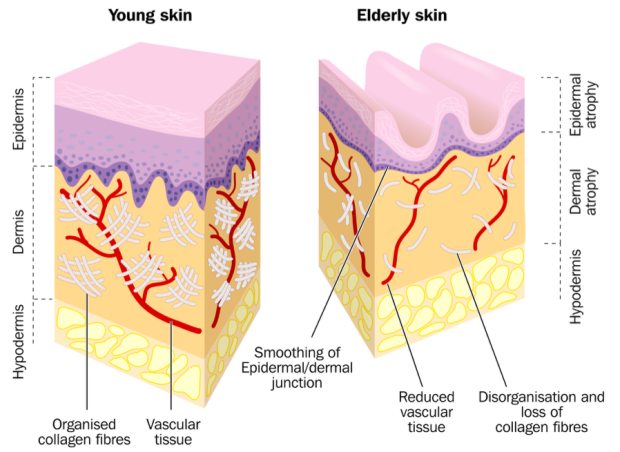 The skin is made up of three distinct layers: the epidermis, the dermis, and the hypodermis. These all undergo changes that impact the appearance and function of the skin. The epidermis is the thinnest and most superficial layer of the skin. Over time there is a loss of hyaluronic acid and a slowing of cell turnover in the epidermal layer which leads to slower wound healing and less effective exfoliation. The dermis houses collagen and elastin, the proteins that offer support and elasticity. As we age, there is a loss of elastin and a decrease in collagen production that results in fine lines and wrinkles. The hypodermis contains fat cells and more collagen. A reduction in the hypodermis leads to sagging skin. Skin aging is the result of the complex interaction between your lifestyle, exposure to environmental factors, your immune system, genetics, as well as your emotional and medical state. Prevention of damage from environmental factors will have a huge impact on your long term skin health. Start with a healthy diet and drinking plenty of water. Skin maintenance should incorporate the use of a gentle cleanser with exfoliation, antioxidant serums and moisturizers with SPF and zinc to protect from both UVA and UVB damage. Sun exposed skin shows damaged collagen fibers, decreased hyaluronic acid, and abnormal glycosaminoglycans proteins that are important in maintaining the dermal matrix. We carry a skin care line aimed at preventing this skin damage only available in doctors’ offices. MPC™, micro protein complex, is an anti-aging technology created by Swiss scientists that improves skin elasticity, firmness, and decreases fine lines and wrinkles. The specific micro-proteins found in MPC™ are foundational in the nourishment of collagens I, III and VII, elastin and hyaluronic acid necessary for youthful-looking skin. 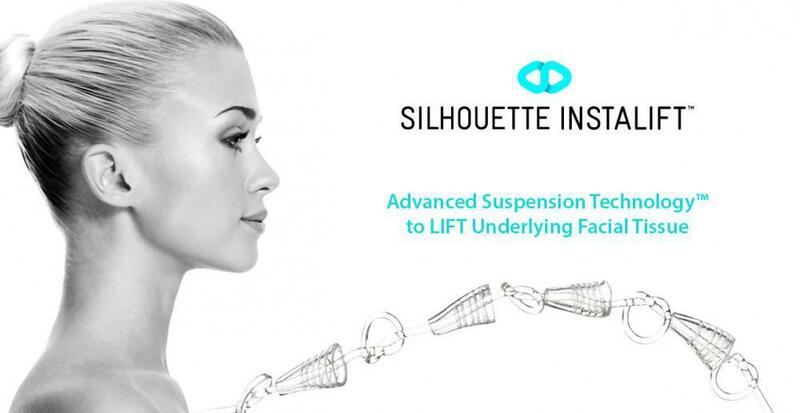 What other non surgical treatments are available to improve my skin? While prevention is crucial for skin health, in office, minimal downtime procedures are available to reverse the signs of aging. Both injectable treatments and non surgical energy based treatments help to rejuvenate the skin by restoring youthful volume and promoting new collagen formation. Fine lines and wrinkles can be improved though the use of neuromodulators such as Botox, particularly around the upper face to help brighten the eyes and lift the brow. Fillers are used to restore youthful volume to the face. Dermal fillers can be used to fill facial creases, plump up the lips, and sculpt the cheeks. The Icon system uses Optimised Light™ photorejuvenation technology to deliver gentle pulses of intense, optimized light in to the epidermis and dermis. 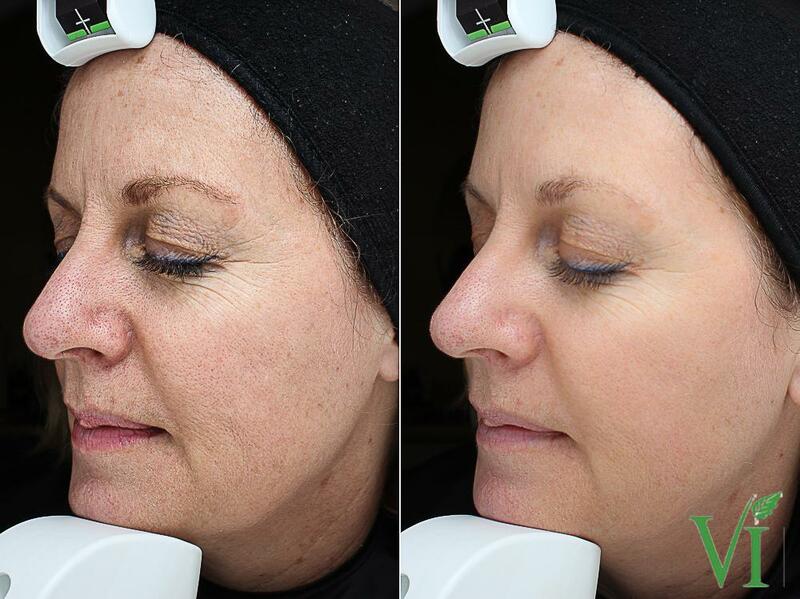 This light reduces the appearance of sun spots, age spots, spider veins, rosacea, and capillaries. Icon also uses fractional laser technology to deliver pulsed energy to the epidermis and dermis of the skin to stimulate the production of new collagen to restore skin smoothness and consistency. This treatment can reduce fine lines and wrinkles, acne scars, and stretch marks. 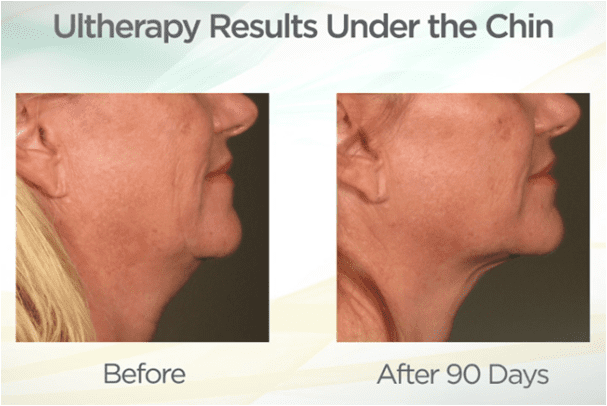 Ultherapy utilizes ultrasound imaging to deliver small, controlled amounts of energy into the dermis and hypodermis where collagen is most dense to create directed neocollagenesis for improved skin tightening and lifting.